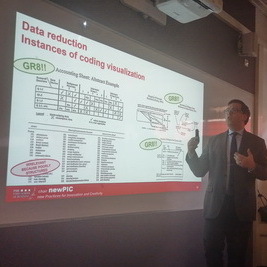 The newPIC chair organizes several seminars on its research topics every year. 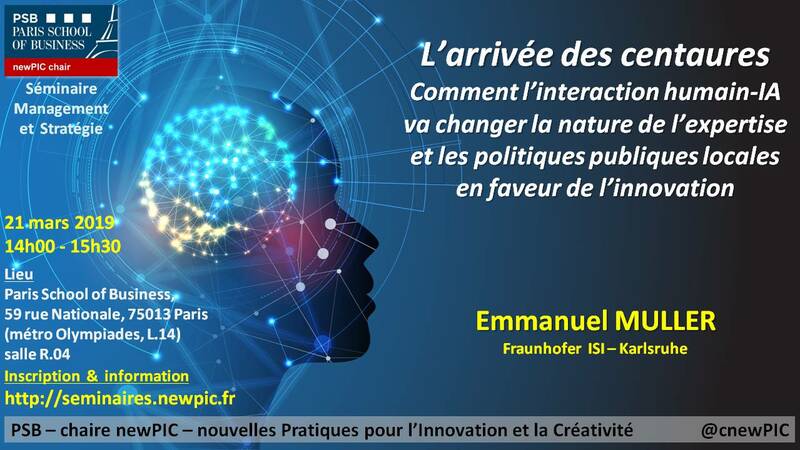 displays vs. unique visitors since April 8th, 2018.
la nature de l'expertise et les politiques publiques locales en faveur de l'innovation"
Emmanuel MULLER is a Professor of management at the SRH University of Applied Sciences Heidelberg. 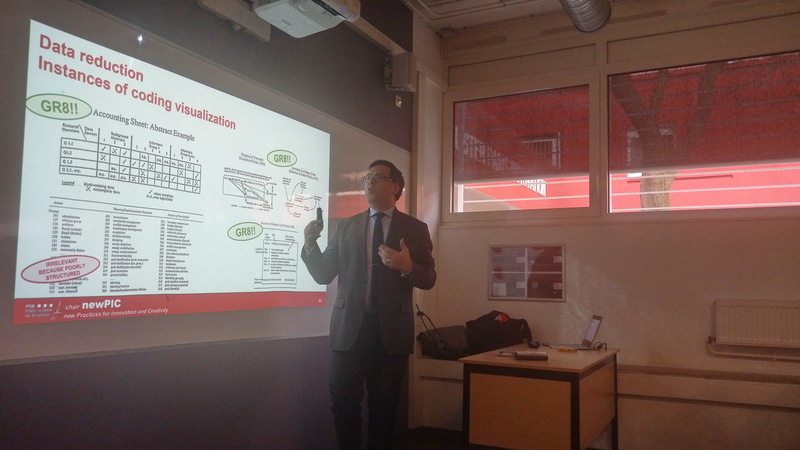 He is a Senior researcher at BETA (University of Strasbourg) and at the Fraunhofer Institute for Systems and Innovation Research (Fraunhofer ISI, Karlsruhe) where he is in charge of the evoREG initiative. 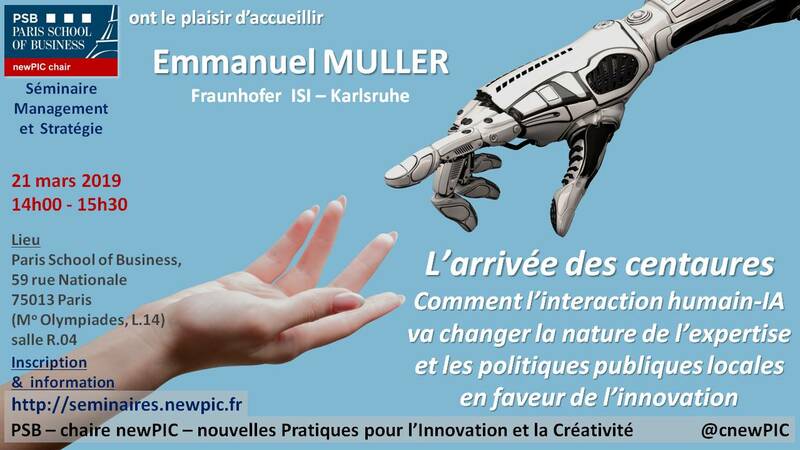 Emmanuel Muller coordinates there a French‐German research team. The seminar will be delivered in French. 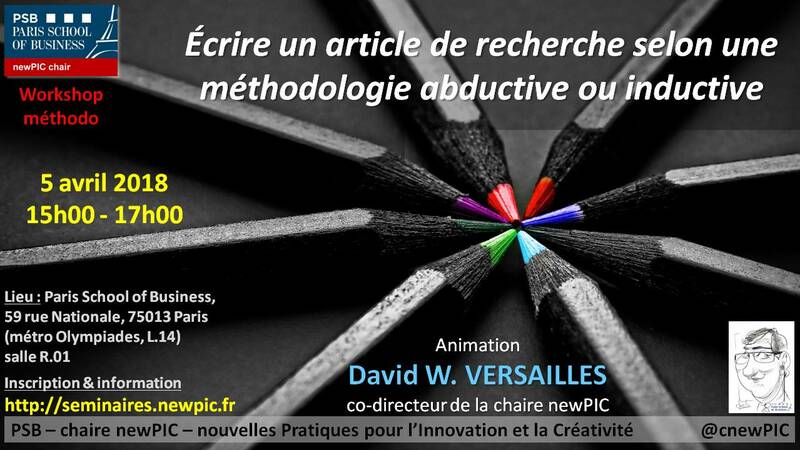 inductif ou abductif en sciences de gestion"
David W. VERSAILLES is a Full Professor of strategic management, the co-head of the newPIC chair. 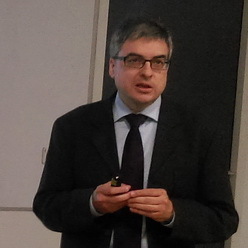 David has a twin education in economics and in epistemology (with a special focus on the methodology of the social sciences). 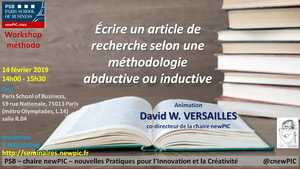 David's academic activities are described on the other pages of newPIC website. Qualitative Inquiry, Vol. 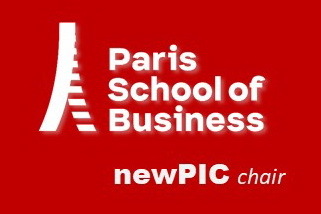 16 N°7, pp 575-582. Vol. 14 N°2, March, pp. 179-88. GIOIA, Dennis A., Kevin G. CORLEY and Aimee L. HAMILTON (2013). "Seeking qualitative rigor in inductive research: Notes on the Gioia methodology". Organizational research methods, 16(1), pp. 15-31. GIOIA, Dennis A., and J. B. THOMAS (1996). 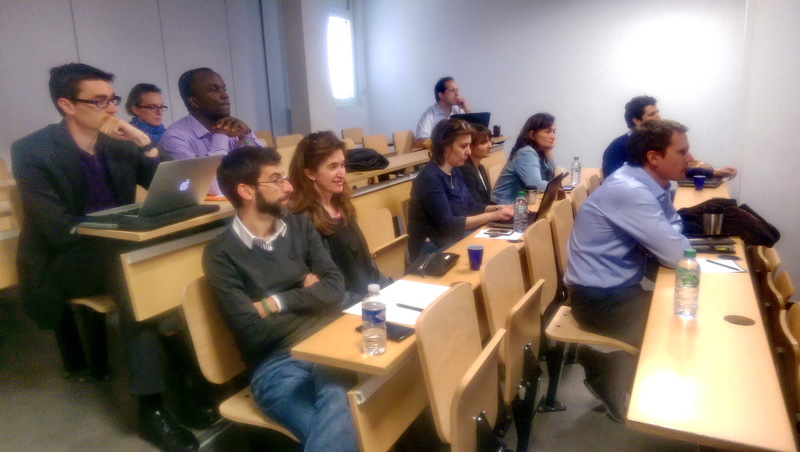 "Identity, image and issue interpreration: Sensemaking during strategic change in academia". Administrative Science Quarterly, 41, pp. 370-403. LANGLEY, Ann (1999). 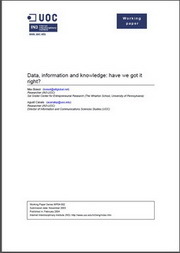 "Strategies for theorizing from process data". 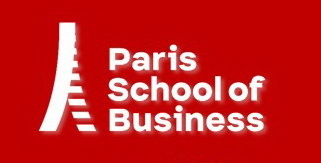 Academy of Management Review, 24 (691-710). STRAUSS, Anselm L. and Juliet M. CORBIN (1990). Basics of qualitative research, 2nd ed., Sage. MILES, Matthew B. and A. Michael HUBERMAN (1994). Qualitative data analysis, An expanded sourcebook. London: Sage. 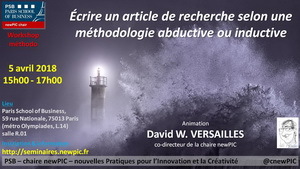 MERDINDOL, Valerie and VERSAILLES, David W. (2018, Online First). 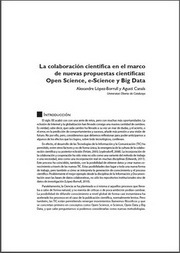 "The Role of boundary spanners in the orchestration of resources: sensing, seizing and reconfiguring in global-local realignment". MERDINDOL, Valerie and VERSAILLES, David W. (2018). une nouvelle conception de l'environnement de l'entreprise"
Xavier LECOCQ is a Full Professor of strategic management and innovation studies at the University of Lille (France) and and a part time professor at IESEG School of management (Lille, Paris). 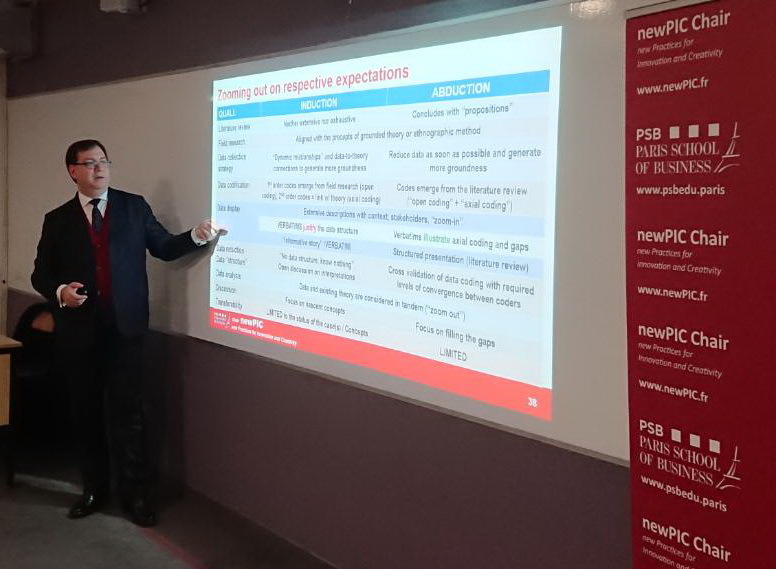 He is delivering executive development seminars and is involved in various research and consulting projects on business models, strategic leardership and innovation with companies. 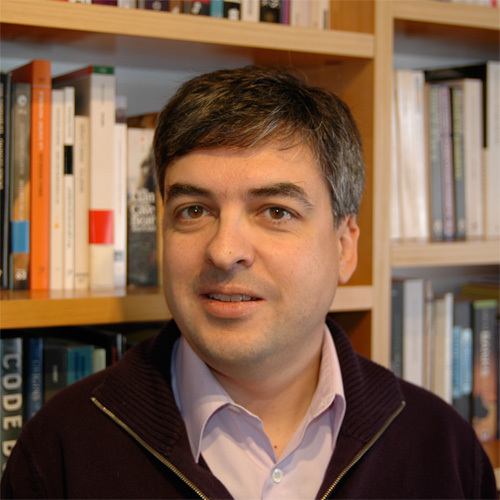 His research develops on strategic management, business models and collaborative forms of organizations (networks, open source communities, collaborative innovation...). 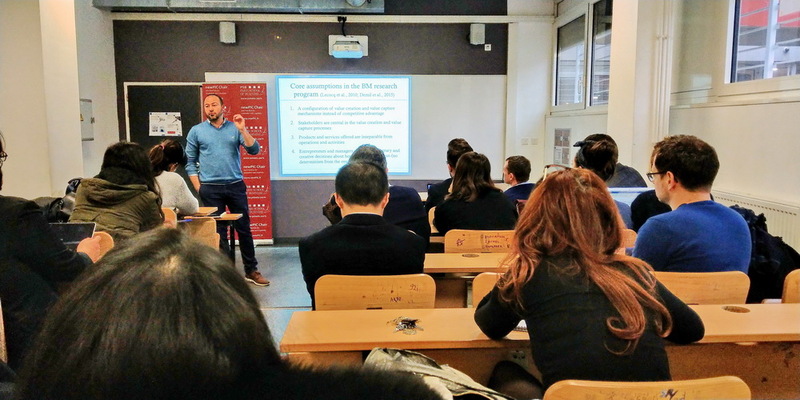 Xavier has published academic articles in journals such as MIT Sloan Management Review, California Management Review, Strategic Management Journal, Organization Studies, Long Range Planning, Strategic Entrepreneurship Journal, etc. 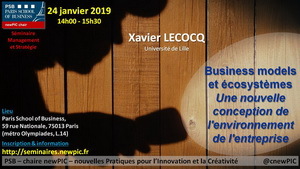 Xavier Lecocq is the founder of the Business Model Community gathering more than 400 researchers from all around the world working on business models. 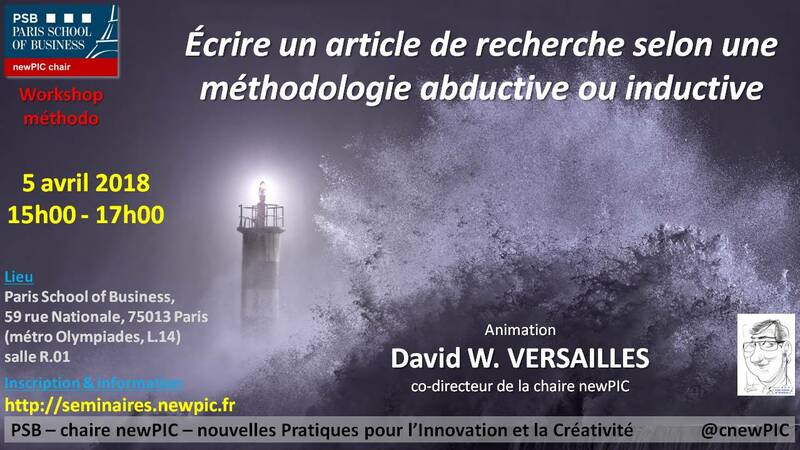 inductive and abductive field research protocols"
The seminar refers to David's lectures on epistemology and qualitative methodologies delivered in PSB executive DBA program. YIN, Robert K. (2009). 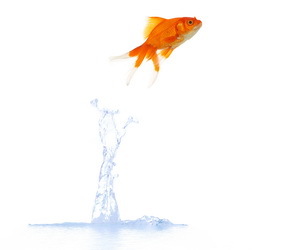 Case study research: design and methods. 4th edition. Thousand Oaks CA: Sage. The Foundations of Economic Method. A Popperian Perspective. Journal des Economistes et des Etudes Humaines, Vol. 2 N°1, pp. 25-62. 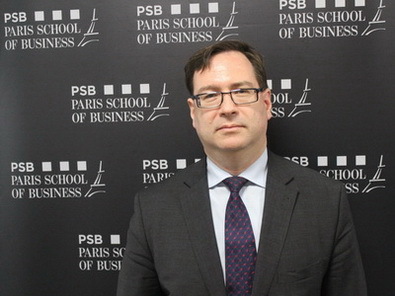 Thierry BURGER-HELMCHEN is a Full Professor of Management Science and the Dean for Economics and Management at the University of Strasbourg. Thierry develops his research at BETA, CNRS UMR 7522. 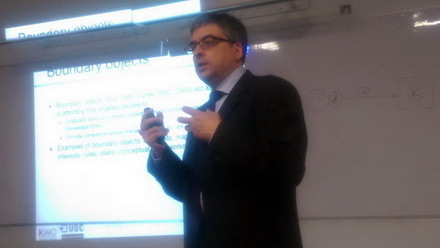 His research focuses on innovation studies and creativity. 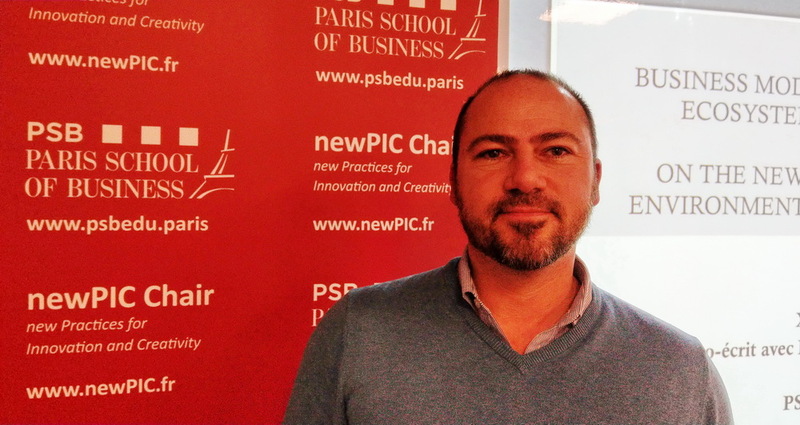 Thierry has been an academic member of the newPIC chair advisory board since the installation of the chair. The registration for the seminar is free of charge. Registrations run via the Weezevent platform. 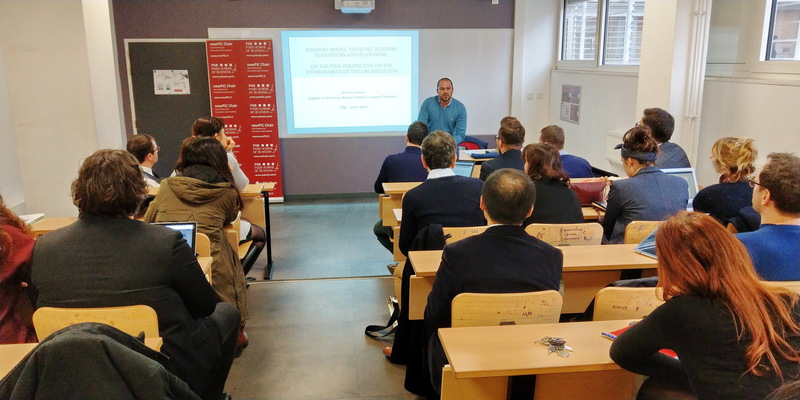 The seminar develops on the research project "C4-Core Creativity and Competition in Chemistry" financially supported by the University of Strasbourg Institute for Advanced Studies (ASIAS), and by the AGIR-PEPS call for applications. 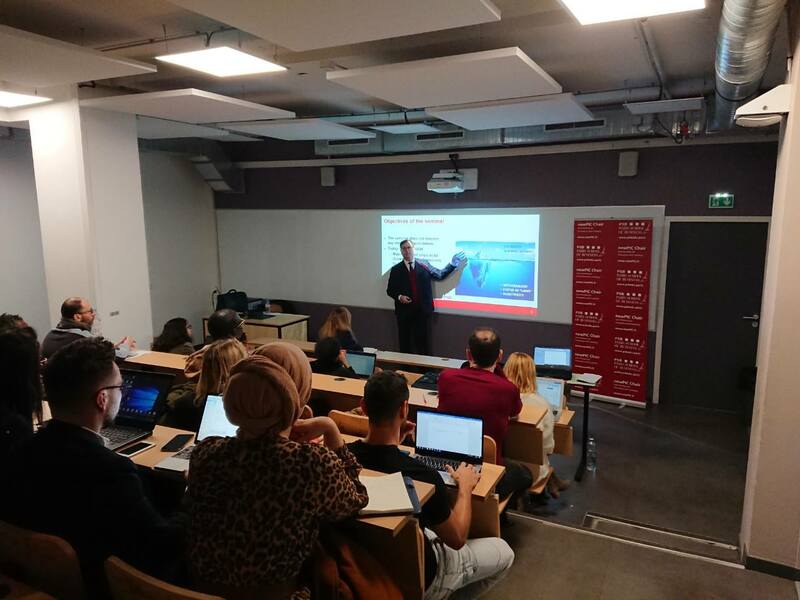 Thierry Burger has organized his presentation with two parts: a conceptuatlization of creativity, and the description of two case studies. He gave his presentation in front of 20+ faculties coming from PSB and other Paris-based research centers. 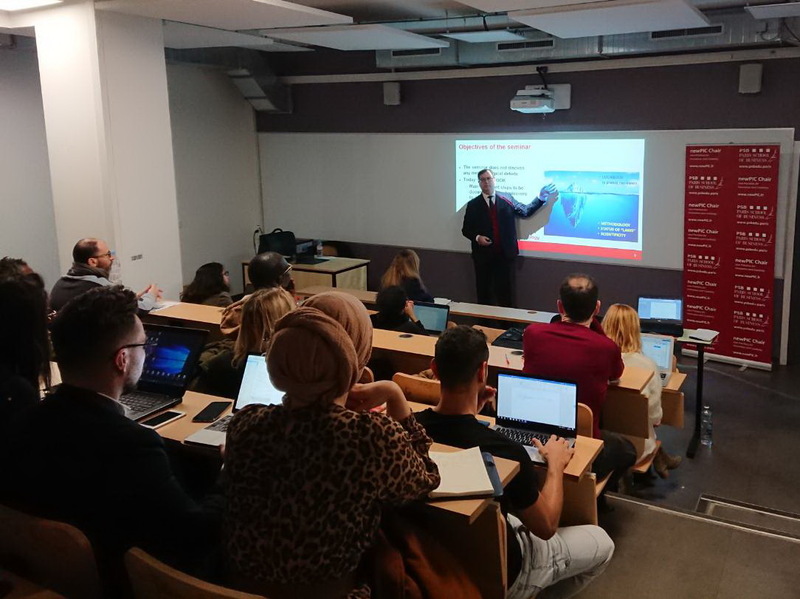 The seminar has focused on the role played by individual creativity in shaping collaboration styles and its impact on research productivity. 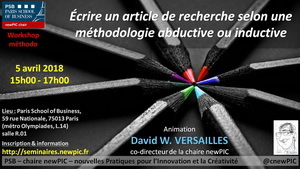 To operationalize creativity, two contrasting visions of collaboration styles are investigated: the 'freak' collaboration style, defined according to a popular characterization of creative individuals, while a monolithic collaboration style pictures the converse style. 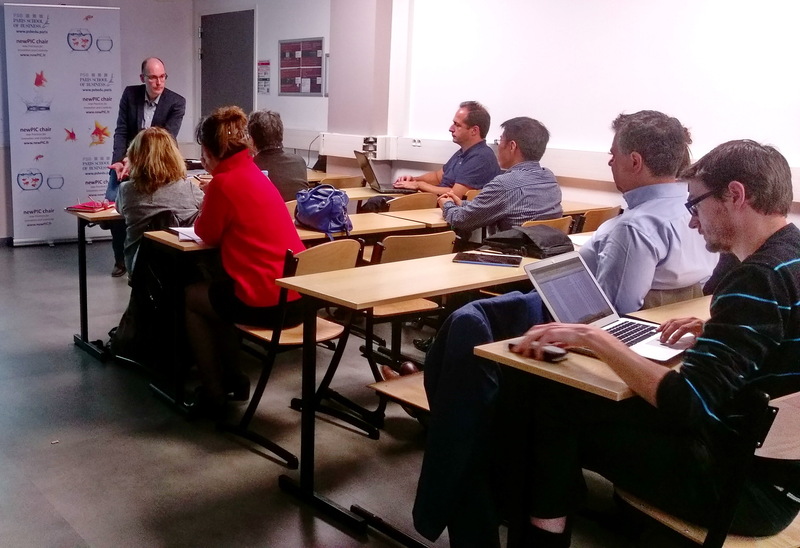 The discussion focuses on the relationship between collaboration styles and research productivity (measured here with the number of publications) by estimating ta Tobit model. Explanatory variables include preferences in collaboration, an assessment of cognitive distance, reasons for collaborating, and circumstances where collaboration initiated. 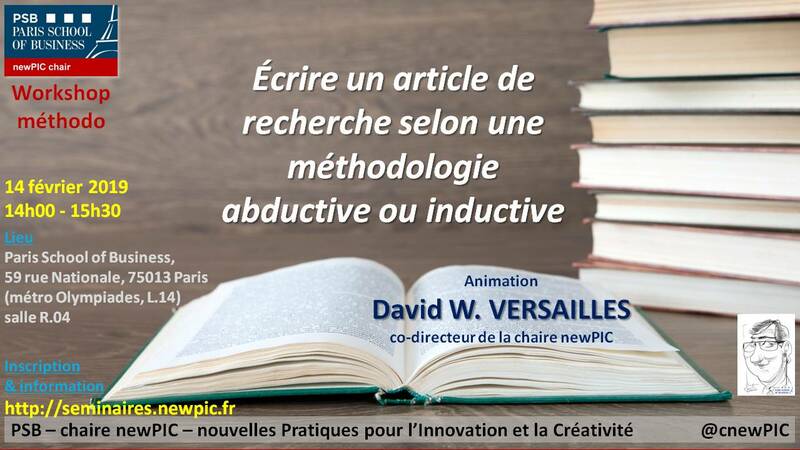 Many results of this research are in line with extant investigations on collaboration and creative societies, while the results on cognitive distance and the circumstances for collaboration (e.g. 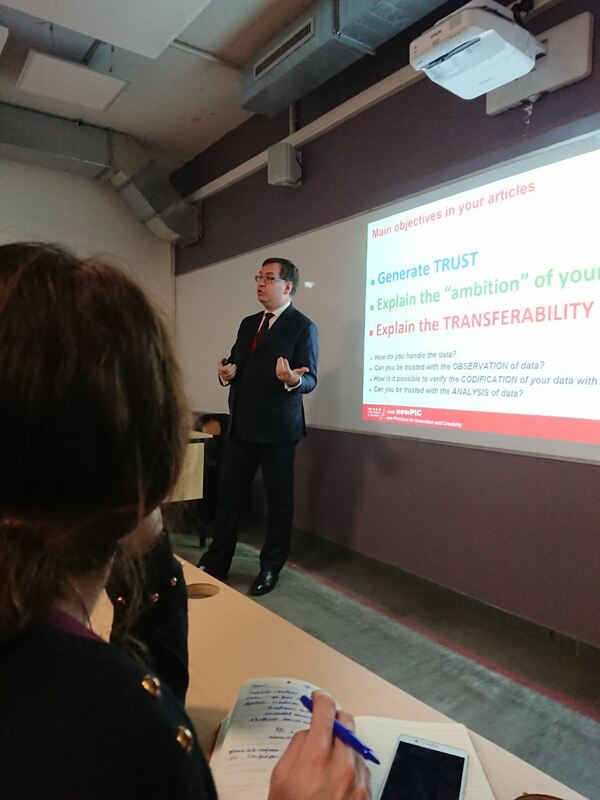 the ways for meeting collaborators) show -previously unappraised- (positive) impacts on research productivity. 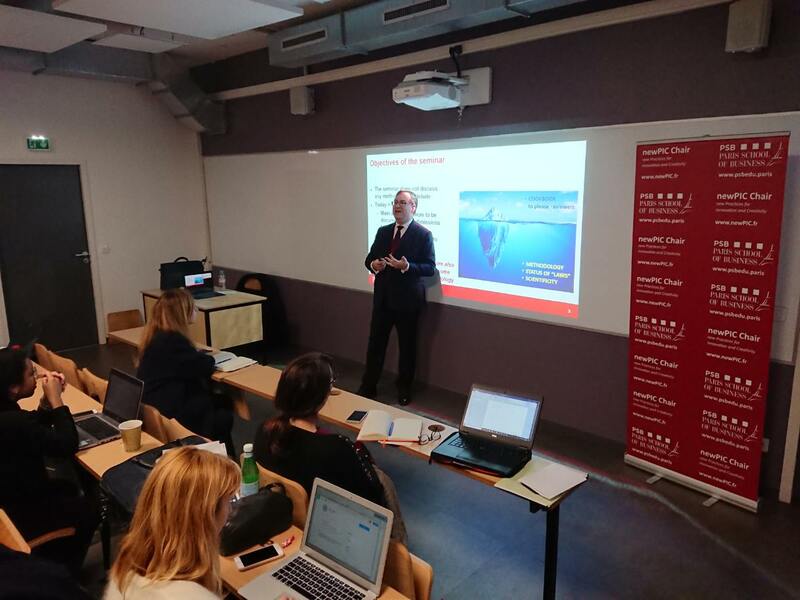 Thierry Burger stresses that any human activity may be characterized as 'creative': the concept associates with "something new that makes sense". He observes that the economic and political context has been considering creativity as a source of growth since the beginning of the 2000s. He stresses that creative firms manifest a greater resilience against the economic crisis. 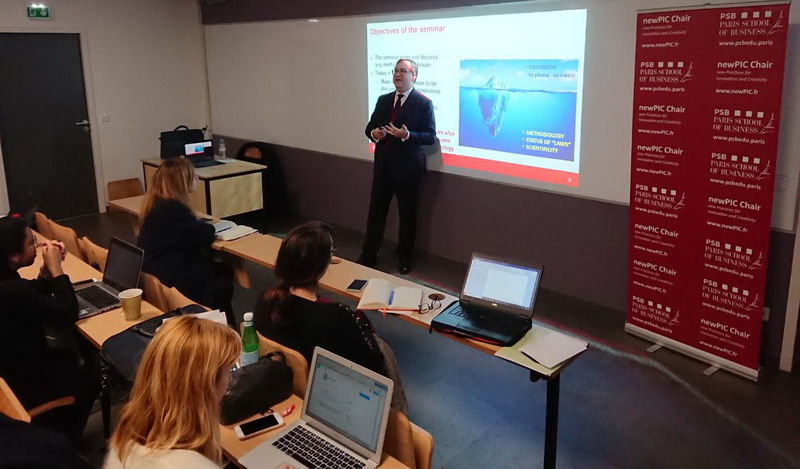 He points out that economists try to understand the impacts of creativity while sociologists try to understand the sources of creativity, and management science scholars focus on transforming creativity into value. 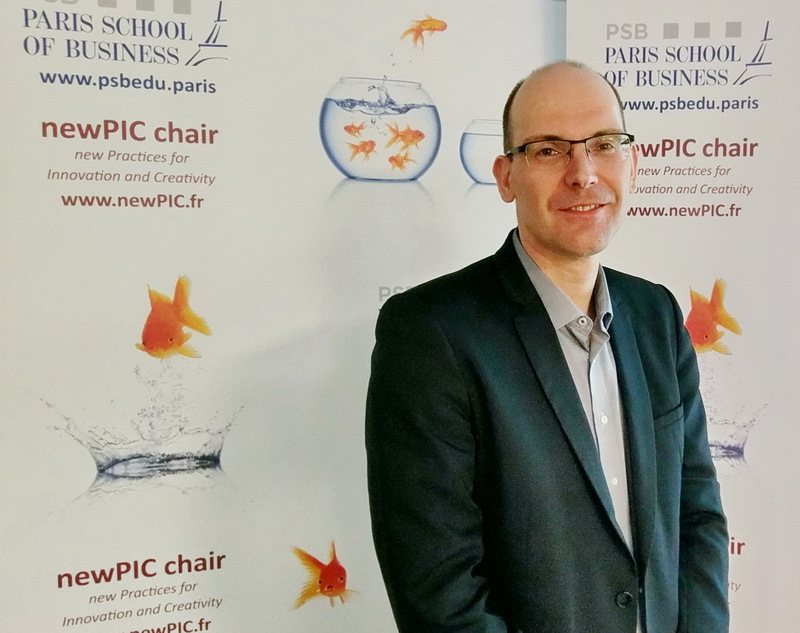 A representant of management science himself, Thierry Burger inquires the value of creativity in the scientific world. 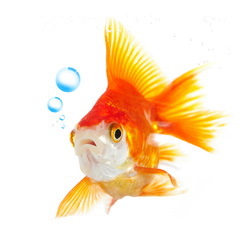 He exposes results of a research project developed in research labs specialized in chemistry. He points out that the production of research articles is impacted by the author's age, status and function in the academic system. Scholars acknowledged as "the most creative" by their peers are the ones who also have the most important volume of publications, and the largest volume of collaborations. 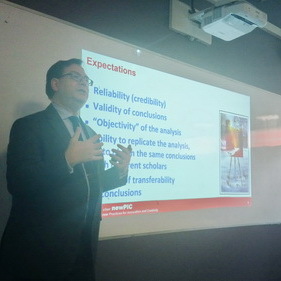 He also points out that technicians play a key role in serving the researchers and their projects with their own ingeniosity. 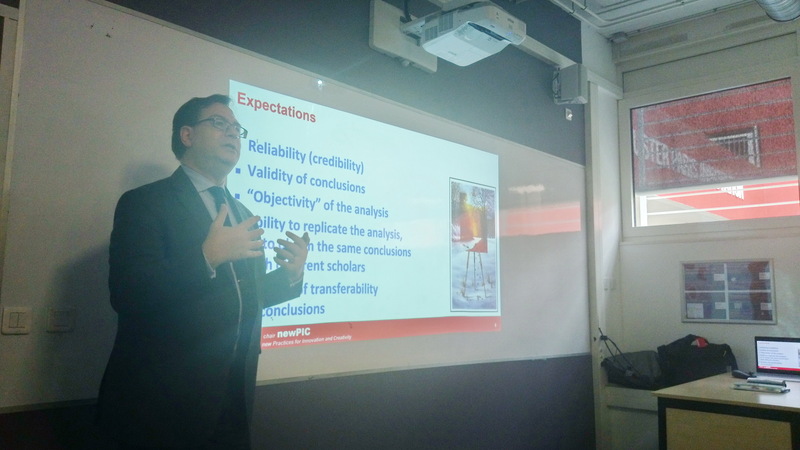 Thierry Burger's conclusion show that scholars in chemistry cannot manifest 'unrestrained' creativity in their projects and publications. 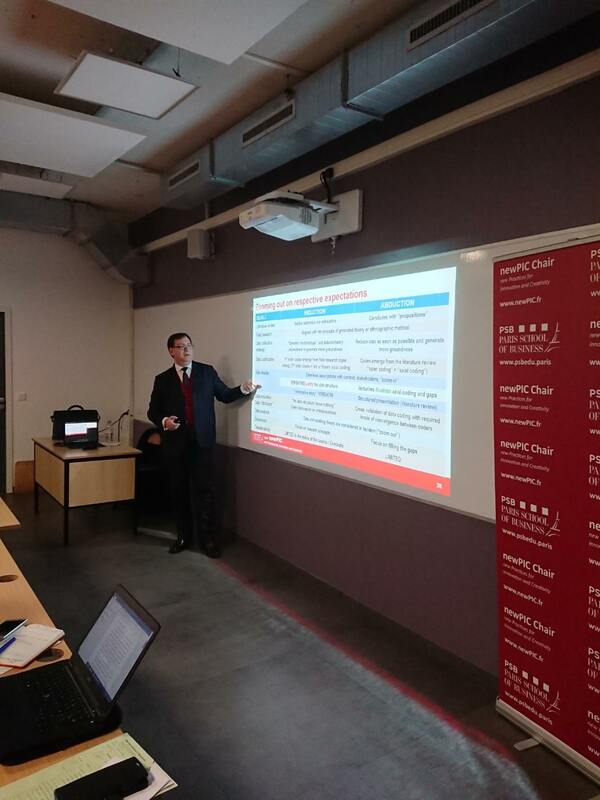 They have to make sure that their results are appropriable by the research community and therefore need to organize a step-by-step diffusion process. 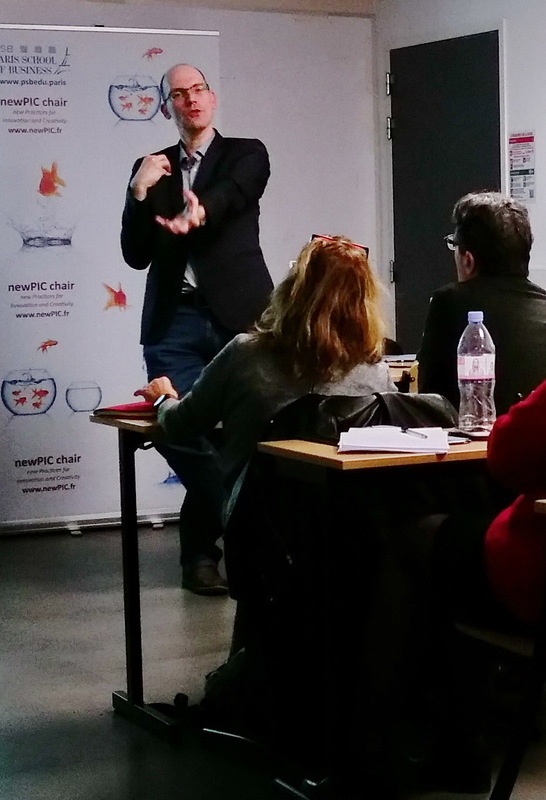 We confront here a very specific issue because creativity has to operate under constraint. 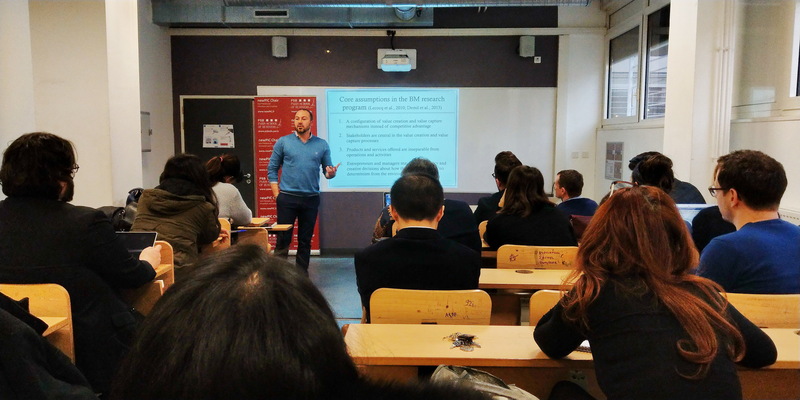 Devant un public composé de plus d’une vingtaine de chercheurs de laboratoires différents Thierry Burger a proposé une présentation construite en deux parties : une conceptualisation de la créativité et l’exposé de deux études empiriques. Thierry Burger souligne que n’importe quelle activité humaine peut être créative : il s’agit de quelque chose de nouveau, qui fait sens. Depuis les années 2000, il observe que le contexte économique et politique souligne que la créativité est source de croissance. Il souligne aussi que les entreprises créatives font preuve de résilience et résistent mieux à la crise. 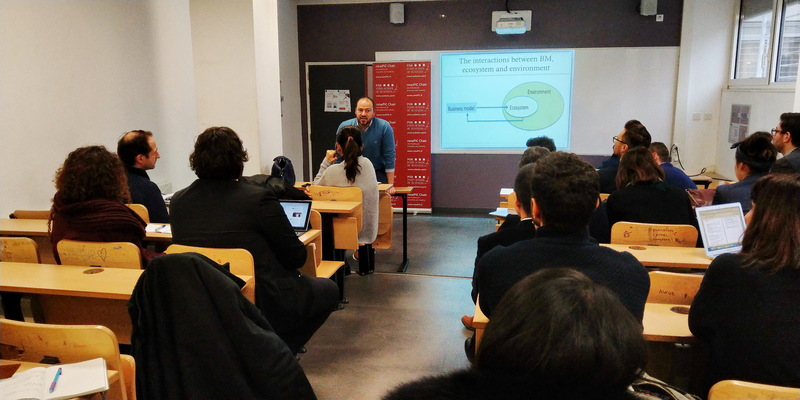 Thierry Burger note que si les économistes souhaitent connaître les effets de la créativité, que les sociologues cherchent le pourquoi de la créativité, les chercheurs en sciences de gestion s’intéressent quant à eux à savoir comment la transformer en valeur. 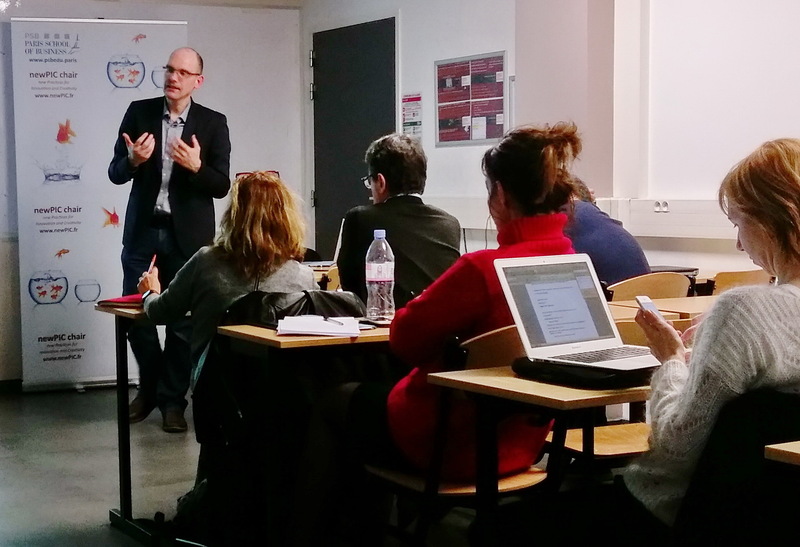 En se positionnant dans une approche de gestion, Thierry Burger se demande comment la créativité crée dans la valeur dans le monde scientifique. 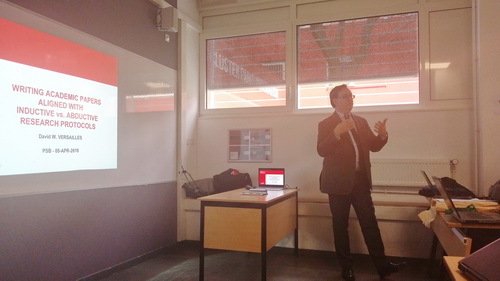 Il présente ainsi les résultats d’une étude menée dans laboratoire composé de chimistes. Il met en lumière que la production d’articles scientifiques est impactée par de nombreux facteurs tels que l’âge ou la fonction du publiant. Les chercheurs perçus par leurs pairs comme étant les plus créatifs du laboratoire sont ceux qui sont les plus productifs et qui multiplient les collaborations. Les techniciens ont également un rôle clé en mettant leur ingéniosité au service du chercheur. Ces conclusions soulignent que le chercheur en chimie ne doit pas faire preuve d’une créativité débridée. S’il souhaite l’être, il faut que son travail évolue étape par étape pour que celui soit appropriable par la communauté. On retrouve ainsi la question qui pose la créativité sous contrainte dans un système organisé. 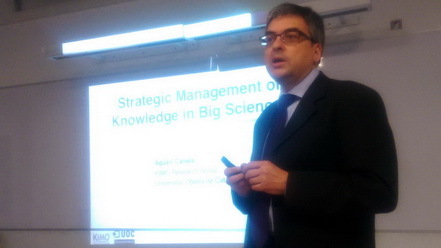 "Strategic management of knowledge in big science"
Agusti CANALS is Professor at the Open University of Catalogna where he coordinates the KIMO research group. 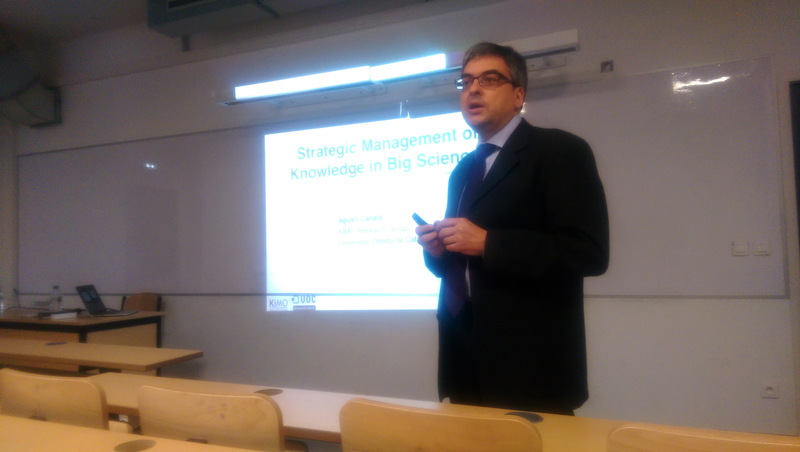 He is also the Director of the MSc Program in Strategic Management of Information and Knowledge in Organizations. 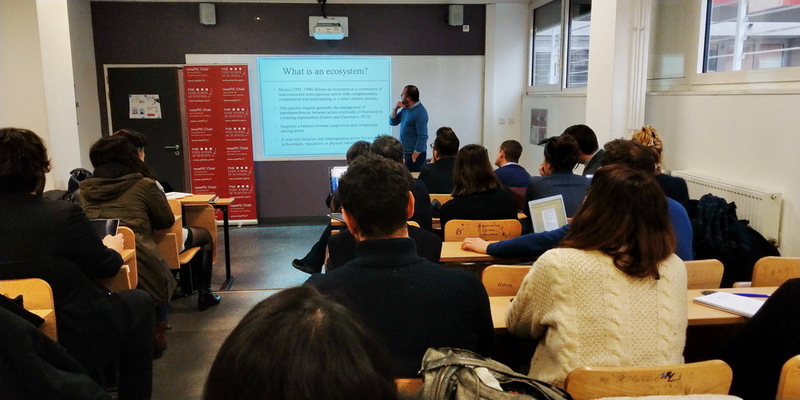 Agusti is also an external faculty member of the Strategy and General Management Department at ESADE, and a Visiting Fellow at the Sol C. Snider Entrepreneurial Research Center at Wharton Business School. 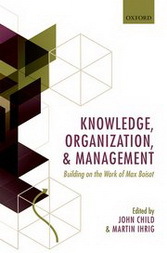 To be mentioned here that the royalties linked to the book Knowledge, Organization and Management, edited by John Child et Martin Ihrig, fund the price awarded annually at the EGOS conference in memory of Max Boisot. 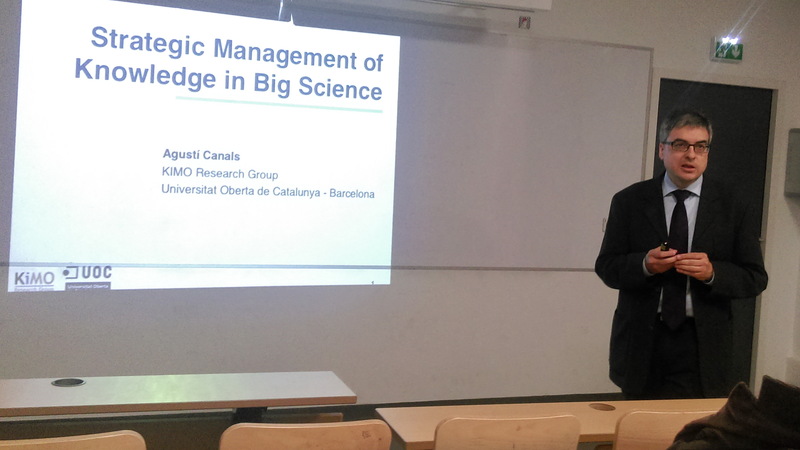 In this book, chapter 9 by Agusti Canals, "Knowledge in Big Science", addresses the topics covered in this seminar. 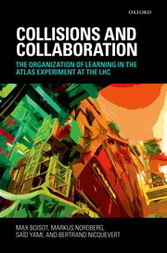 The chapter elaborates on the investigation developed by Max Boisot's team at CERN on the ATLAS project, that were described and analyzed in "Collisions and Collaboration" (Boisot, Nordberg, Yami, Niquevert, eds). This project develops further today with Agusti Canals (principal investigator and project manager).